Push them out … or work it out? As a community and society, our civility is always tested if someone offends our norms of behaviour and presents a threat. It should go without saying that the tools of good consultation are capable of actually alleviating any threat, changing offending behaviour and retaining our civility, all while achieving mutual gains. Oddly, more often than not, this is not the solution we reach for. Take for example the way some of Melbourne’s media recently pandered to prejudices by screaming outrage at street beggars after one “crazed” person was pictured aggressively harassed pedestrians. Clearly, something should be done. But what response was offered? To protect our centrally-heated, off-the-streets lifestyle in this most liveable city, the suggested solution was to get tough and eject these “professionals” from plying a street trade. Sure, homeless people sleeping rough outside your store is a real problem that traders don’t deserve; and no-one deserves being accosted on our liveable streets. But are we seriously to believe – as Melbourne’s famous winter winds bite – that it is a choice to sleep rough and beg “professionally”. While it may satisfy some stereotypical views, asking police to “get tough” is most likely to displace, suppress and aggravate the problem for another day. Instead, the tools of engagement and consultation would allow us to approach the issue as a shared problem that may be resolved by a shared solution. Skilled, facilitated community negotiation is far more likely to achieve a lasting solution for all. 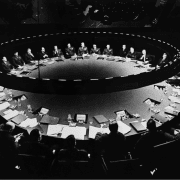 It would seek a solution by bringing key parties around a table. This would include police, and State Government, Councils, Community/Welfare services and mental health services. This is harder work than just “getting tough”. But we have the skills to do this and it’s the kind of work that would achieve resolutions that afford us our desired civility, and our liveability. 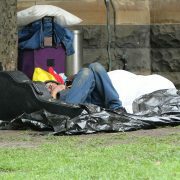 https://www.rmka.com.au/wp-content/uploads/2016/06/Homeless-man-near-St-Paul.jpg 681 1500 Alex Messina https://www.rmka.com.au/wp-content/uploads/2015/08/logo-300x132.png Alex Messina2016-06-07 15:00:172016-06-09 14:38:26Push them out … or work it out? I’ve been involved in Government communications for a bit over 20 years. During that time there has been a lot of change, and like all communication professionals, I’ve needed to learn a lot of new things. But there’s one thing – one ‘ah-ha’ moment – that stands out above all others. This was the moment when I saw that the discipline of communications that I’d been so absorbed in had some strict limitations, and that there were problems that a traditional comms mindset couldn’t solve. I didn’t lose my faith in comms altogether, but I did take on a second, complementary system of belief. Early on in my comms career, I became aware of a group of people elsewhere in my department involved in talking to communities and running public meetings. In this department they were called the community engagement team. While they were communicating with the public, like us in comms, we had very little to do with them in an operational sense. I was fine with that! My comms colleagues and I liked to see ourselves as pragmatic, hard-nosed and strategic. We reckoned we understood the organisation and the political context and had the skills to craft messages and design programs that influenced what our target audiences thought, felt and did in ways beneficial to our great State. From my (unenlightened) viewpoint at that time, it seemed that the engagement people were spending way too much time meeting with and talking to the public – including some of our department’s harshest critics. Worse, they were even giving them influence over decision-making! My epiphany came about as a result of doing some fairly desperate issues management. One program in particular received so much pushback from the community, and criticism by the media that it became an election issue (albeit a low level one). Now, it’s a much remarked thing that, for both individuals and organisations, it often takes a shock – like the failure of a tried and true way of doing things – to make you review your approach and adopt new ways of doing things. And that’s what happened to me. In this case, we had to beat a hasty public relations retreat, bunker down and regroup. When we returned to the fray we had a new approach and had taken on board community engagement expertise. Working with engagement methodologies supported by communications, we began to win back ground by rebuilding trust, stakeholder by stakeholder. Success didn’t come overnight, but it did come. The key thing I learned was that communications is a powerful tool for educating and influencing audiences, but it has its limits – and specifically in this case, it cannot by itself rebuild trust when trust has been lost. For that, engagement is the way to go – and probably the only way! I’m still trying to figure out why it had been so hard for me as a communicator to grasp this earlier. I think it’s got to do with the different mindsets that communications and engagement represent – but that’s a subject for another time! Consumers are constantly bombarded with messages by savvy brand marketers in an effort to ‘engage’ at every opportunity. And the noise is deafening. Targeting an audience is easier than ever before with no end of online metrics, analytics and geo-tracking to ensure more visibility of consumer preferences, habits and behaviours. But what happens once you actually track down that elusive target audience? Do they know your brand? How do they perceive your brand? And, most importantly, do they trust your brand and the various values you espouse? 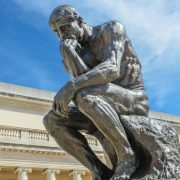 Thought Leadership, in its most basic, unadulterated form, is about offering a meaningful contribution to a topic, issue or discussion. You need to take a leading position, make an impact and challenge the status quo. You also need to implement authentic communication which will, in time, shape consumer perception of a brand. But this won’t happen overnight. You need a considered, strategic approach to build a profile, take a leading position and ‘own’ the conversation rather than just being an observer. This continuous conversation must be supported by consistent and genuine messaging, and backed by research, by innovation or by the people behind the brand who are experts in their chosen fields. All these elements, and more, are required to genuinely position your brand as a Thought Leader. Marketing can put your brand in front of the right audience, but it’s up to communication professionals to ensure the interaction is meaningful. RMKA’s expertise in developing Thought Leadership positions will enable your brand to build and sustain this interaction.